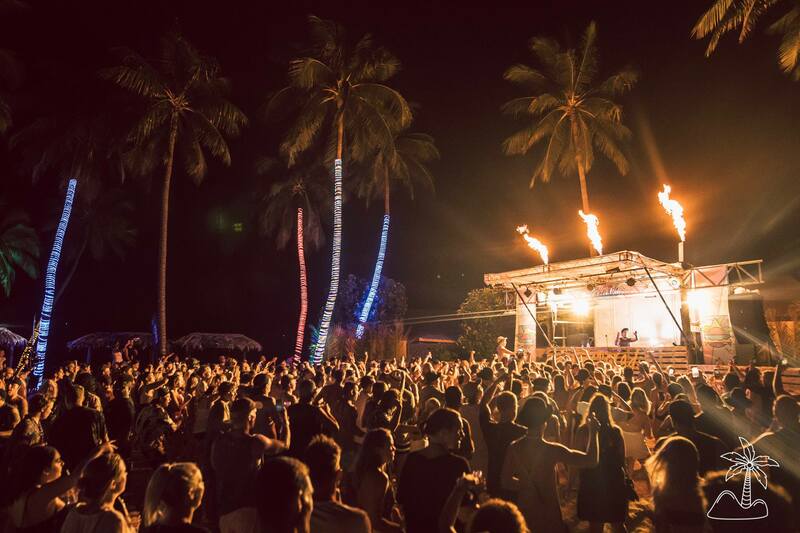 Your Paradise Fiji is a lesson in experiential festival planning. Now in its fifth year, the team behind the luxury festival have successfully established a multi-day dance music event in a country without an existing electronic music scene. Setting up an experience-based festival in the tropics from a base in Sydney is no easy feat, co-founder Dominic Furber explains. The brainchild of Australian electronic music stalwarts Ignacio Garcia, Hadi J, Daniel Farley, Steve Pillemer and Furber, four year-on-year sellout events have secured Your Paradise as one of the world’s foremost destination festival experiences. A choose-your-own-adventure for those seeking a festival experience outside the norm, the world-class electronic festival sees around 600 punters flown across the South Pacific from 7 to 13 December for a week of luxury, music and action-packed activities in the tropics. Each event is over nine months in the planning: “This is still not an easy task and probably more challenging than most festivals to book,” explains Furber, who also handles booking for more “conventional” destination festivals such as Snowtunes in Jindabyne. The irony of Your Paradise’s success is that it sounds too good to be true, which has caused problems for bookers. “During the first two years we had to convince managers, agents, and guests that this event was for real, and would take place in a country without an existing electronic scene apart from a few local DJs playing in small nightclubs on the mainland,” remembers Furber. “After four consecutive sold-out events with the likes of Skrillex to Alison Wonderland gracing our main stage, we now have artists requesting to play at the event. “However, we still face talent budget challenges with some of the in-demand artists expecting six-figure sums to play, regardless of the event’s capacity, logistical costs, and remote location. Since the inaugural event in 2014, the festival has expanded to include two resorts – Plantation and Mana islands, West of mainland Fiji; only a 25-minute boat ride from one another. This year’s lineup sees new faces and old travelling from all corners of the globe, with the ultimate staple performer What So Not returning to top the bill. Tech-house phenomenon FISHER, French house duo Breakbot, Patrick Topping, Mija, South African 4/4 legend Kyle Watson, Zurich’s Nora En Pure, Leeds’ Miguel Campbell and more will also be performing. Rather than a structured event, Your Paradise encourages punters to design their own experience, from surfing the iconic Cloudbreak to partying on a sandbar in the middle of the ocean, snorkelling in Fiji’s tropical waters, parties on floating venues and sailing all available. Operating on Fiji time, you won’t find aggressive security or walls of red tape restricting activity on the islands – just piña colada and hammocks. Fostering a community vibe on the island is a priority for organisers; punters rub shoulders with artists, staying, eating and partying together. Packages start from $1,999 per person.